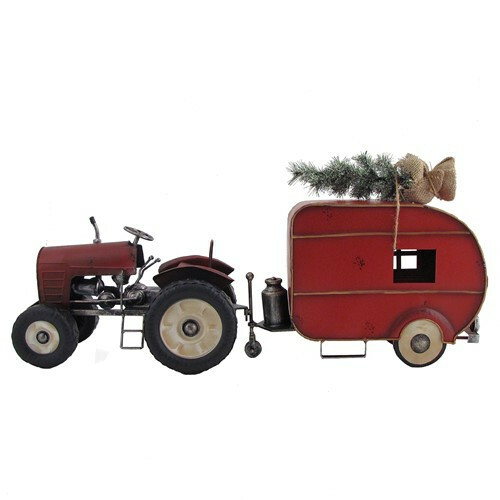 This is the perfect Christmas decor for anyone who is a fan of camping or the country. 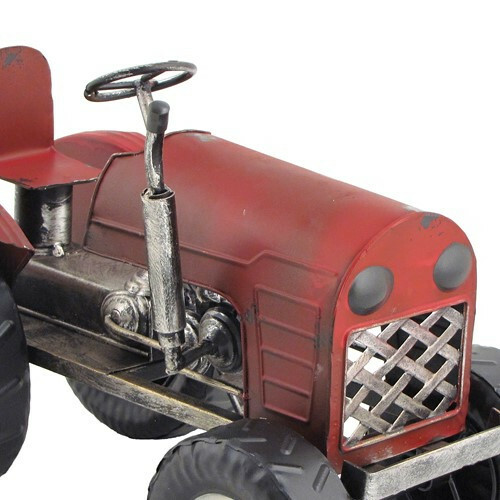 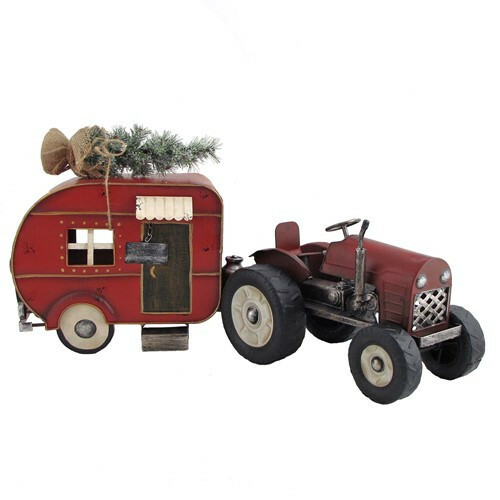 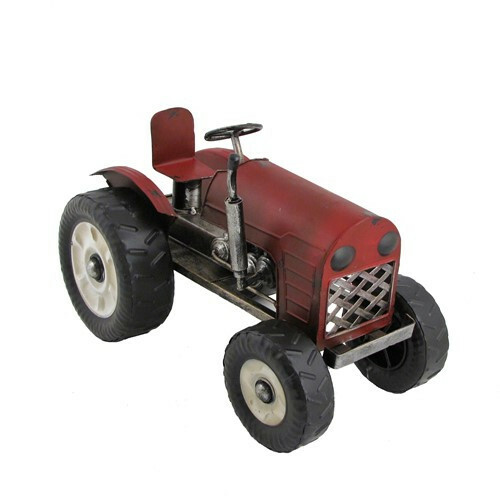 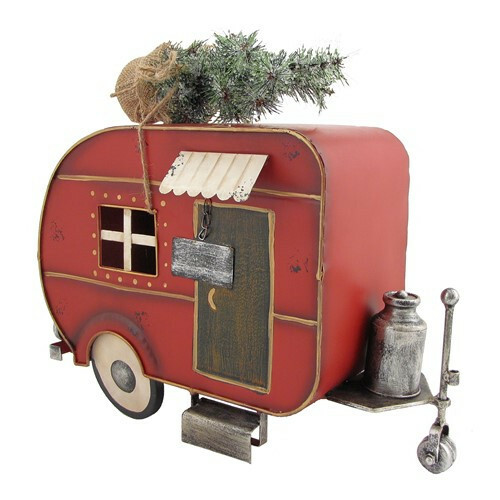 Our red tractor is expertly crafted from powder coated iron and hand painted in a deep red distressed finish, as in the camper attached to the back. 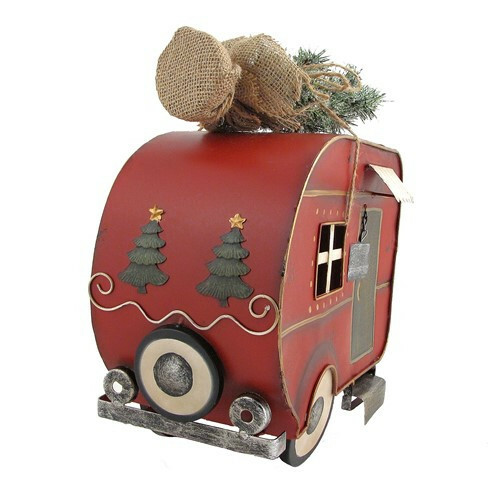 The camper itself is immaculately detailed and features a removable Christmas Tree tied to the top.